Explore stunning minimalism with the Tissot® Everytime Large Nato watch. Round 316L stainless steel case. 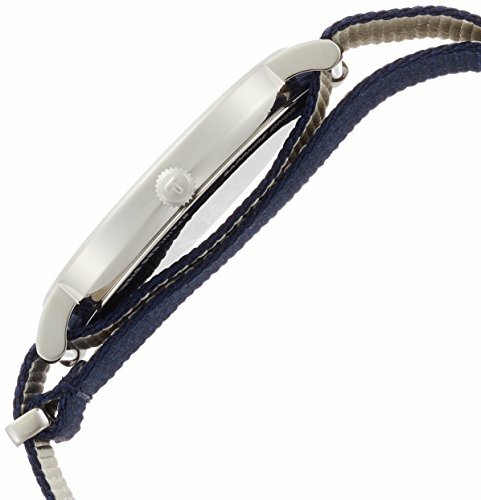 Adjustable blue textile strap with leather trim. Traditional buckle closure. Three-hand analog display with ETA 902.101 quartz movement. White dial face features Arabic numerals and minute track at dial perimeter. Scratch-resistant sapphire crystal window. Splash resistant 3 ATM/30 meters. Presentation box included. Swiss made. This item may ship with an attached security tag. Merchandise returned without the original security tag attached or a damaged tag may not qualify for a refund. Measurements: Case Height: 42 mm Case Width: 42 mm Case Depth: 7 1⁄2 mm Band Width: 1⁄5 mm Band Circumference/Length: 10 3⁄4 in Weight: 1.6 oz This product may have a manufacturer's warranty. Please visit the manufacturer's website or contact us at warranty@support.zappos.com for full manufacturer warranty details. 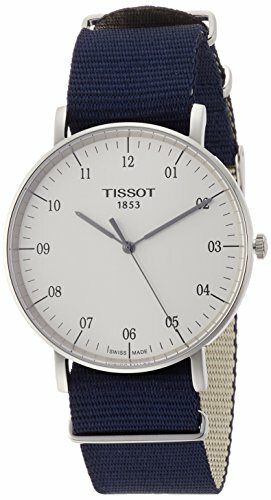 Explore stunning minimalism with the Tissot® Everytime Large Nato watch. 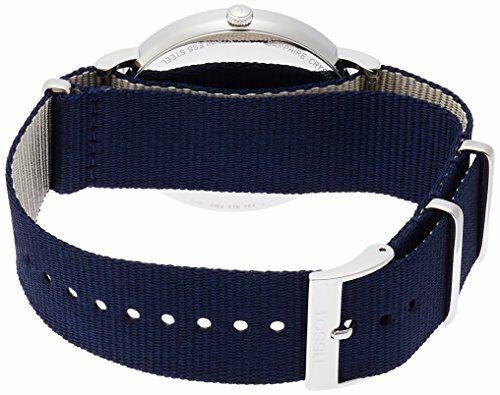 Adjustable blue textile strap with leather trim.